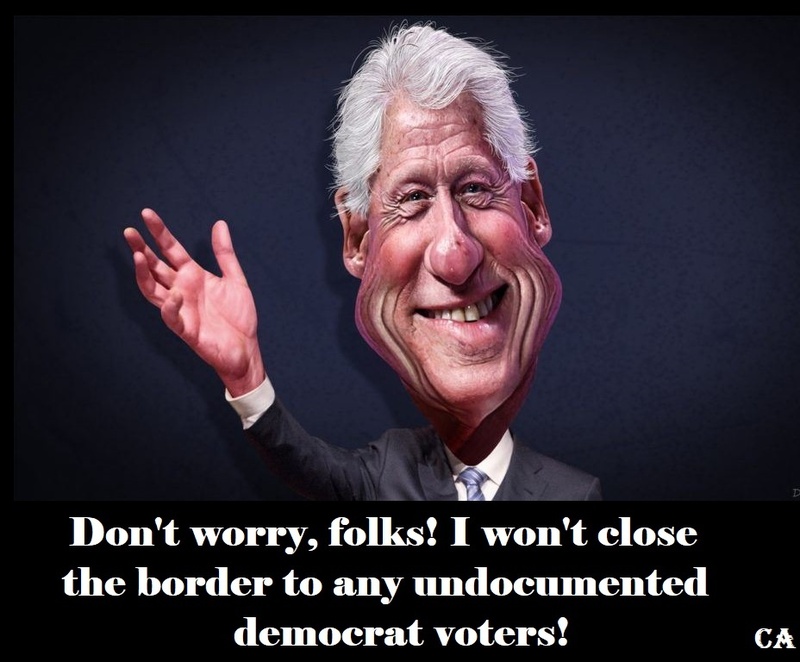 Words of Wisdom From… Bill Clinton? All Americans, not only in the states most heavily affected but in every place in this country, are rightly disturbed by the large numbers of illegal aliens entering our country. The jobs they hold might otherwise be held by citizens or legal immigrants. The public services they use impose burdens on our taxpayers. That’s why our administration has moved aggressively to secure our borders more by hiring a record number of new border guards, by deporting twice as many criminal aliens as ever before, by cracking down on illegal hiring, by barring welfare benefits to illegal aliens. In the budget I will present to you, we will try to do more to speed the deportation of illegal aliens who are arrested for crimes, to better identify illegal aliens in the workplace as recommended by the commission headed by former Congresswoman Barbara Jordan. We are a nation of immigrants. But we are also a nation of laws. It is wrong and ultimately self-defeating for a nation of immigrants to permit the kind of abuse of our immigration laws we have seen in recent years, and we must do more to stop it. In 2017, that stance would put him to the right of the Republican Speaker of the House. Within another 22 years, Clinton will be denounced as “racist” and soon afterward erased from history. May 2010 – 40 to 50 million will receive amnesty..
Michael Cutler: There Are Very Real Reasons for Arizona’s New Immigration Law..
Today the lowest estimate for the number of illegal aliens who would participate in “comprehensive immigration reform” is 12 million. If history repeats itself — and it almost invariably does — then we could easily have 40 million to 50 million illegal aliens seeking to participate in the program. Coulter: MORE THAN 60 MILLION ILLEGALS! Video – However, after conducting a nationwide investigation that took her to the front lines of this crisis, Ann Coulter has come forward with alarming evidence that proves the true number of illegal immigrants who have crossed our border has exploded past 30 million. And it could be as high as 60 million people. I’m beginning to think ALL POS, lying, leftist-extremist d-cRATs are total hypocrites who will say whatever it takes to get and remain in power ! Perfect example of why Slick Willie was infamous for “moving to the Right” before re-election time. Definitely worked, though. 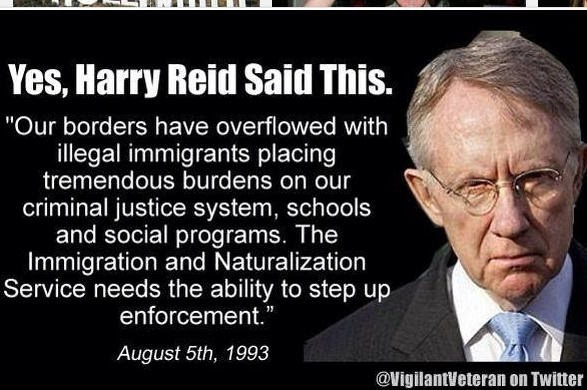 Harry softened up considerably after learning they’re not ILLEGAL ALIENS! They’re UNDOCUMENTED DEMOCRAT VOTERS!